My best friend made pasta and roasted garlic broccoli which made me want to make the same. I had this pasta with white sauce at a very good friend's place in Dubai and loved it. 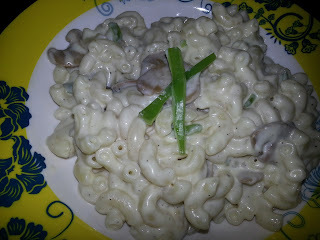 She was kind enough to share the recipe but I never really made it as I always simply made ready to cook macaroni and cheese. Last night however I decided it was time to prepare it from scratch and I am glad I did so. I enjoyed the pasta. My husband was out for dinner so it was just for me..
1. In a cooking vessel bring water to boil. 2. Add salt and a few drops of oil. 3. Cook the pasta to desired tenderness and drain the water once done and keep pasta aside. 4. Cook the pasta and prepare the sauce side by side or one after the other. 5. 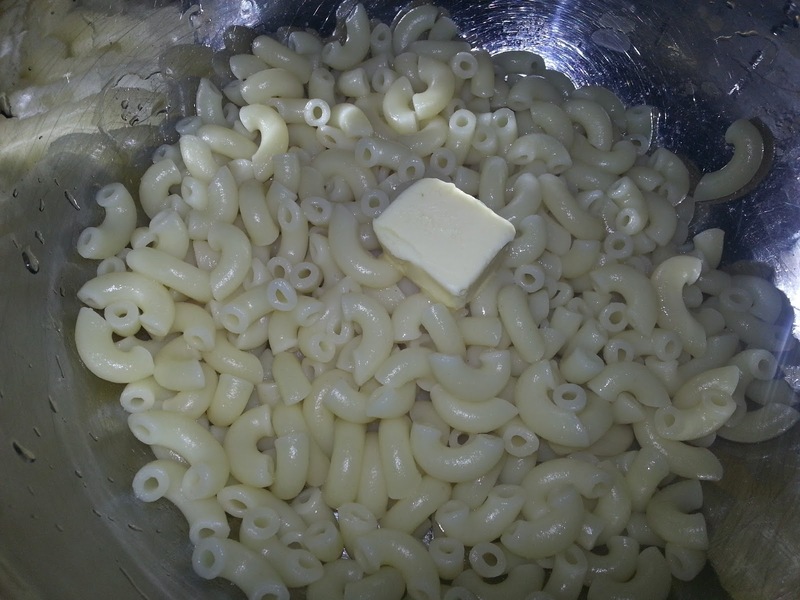 In a saucepan melt 1 tablespoon butter. 6. Add 1 tablespoon all purpose flour and mix well. 7. Slowly add 1/2 cup of milk 2 tablespoons at a time and mix well. You will have lumps if you add all the milk at once. 8. Add salt and pepper to taste. White sauce is ready. 9. 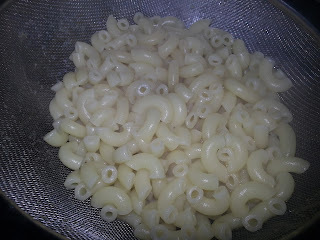 You can also add cream and Parmesan cheese if using, cook for a minute and turn off flame. 10. 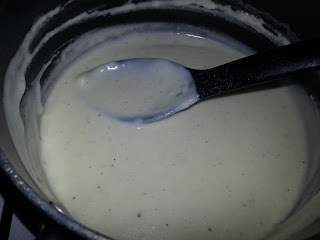 In a saucepan melt 1/2 Tablespoon butter. Add the chopped onions and mix well. Fry for a minute. 11 . 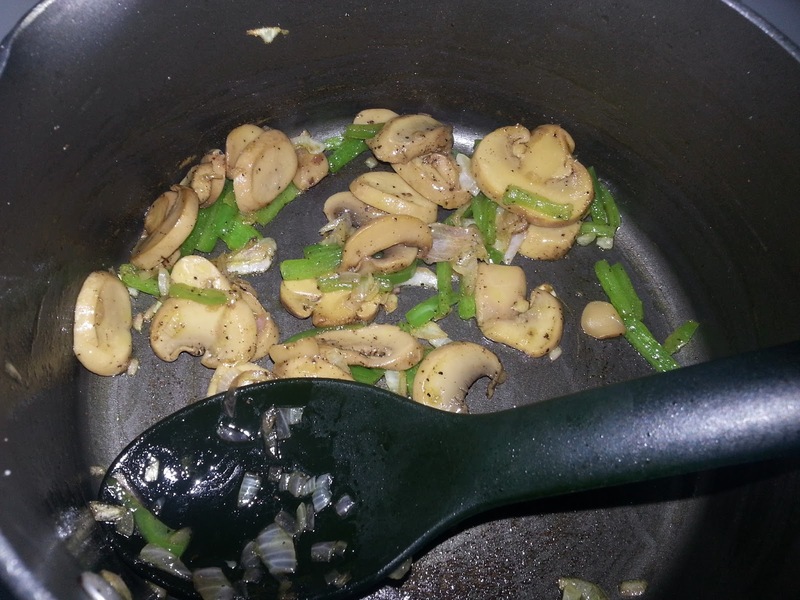 Add capsicum and mushrooms and mix well. Add broccoli if using. 12. Add boiled and sliced or cubed chicken pieces or prawns if using and mix well. 13. Add salt and pepper and switch off flame. 14. 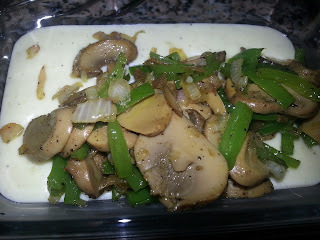 The white sauce has the tendency to turn thick as it cools. Warm it up on stove or microwave just before serving. 15. 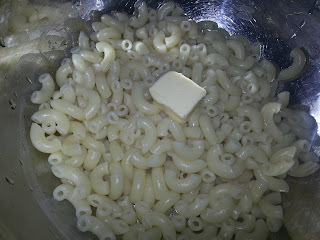 Add 1/2 Tablespoon of butter in the pasta while still warm and mix well. 16. Mix the vegetables with the white sauce. 17. 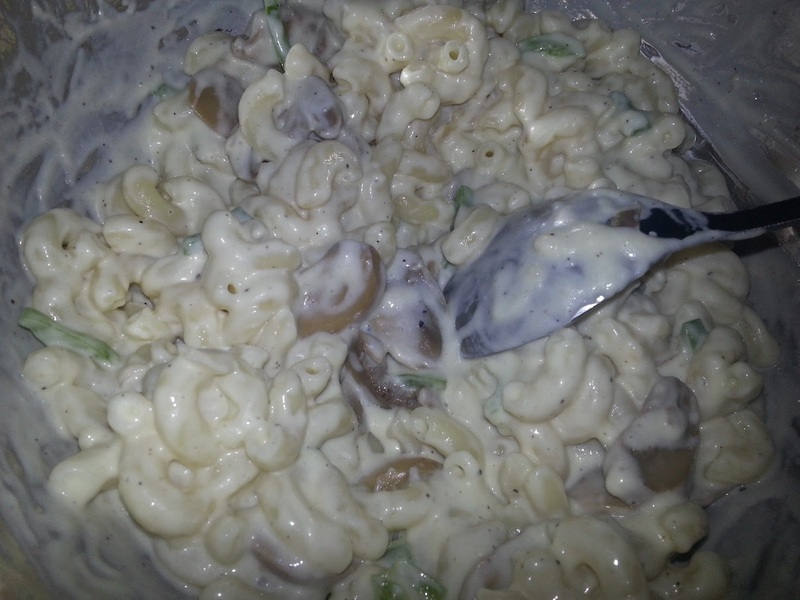 Mix the required amount of sauce with vegetables and the pasta. 18. Always mix the sauce and pasta just before eating. Enjoy pasta with white sauce.